This small figure of just 50 centimetres high has become the city’s most famous and recognisable symbol. You will find it in Rue de l’Étuve, near the Town Hall and it was made in bronze by Jérôme Duquesnoy the Elder in 1619. What inspired the sculptor to make such a peculiar image is not known for sure, although one of the theories states that, in the twelfth century, a duke’s son was found urinating in the middle of a battle and the statue was thus made to symbolise the military courage of this country. However, another legend tells of how, during a procession, a women discovered a child urinating against the wall of her house and placed a curse upon him that turned him into a stone statue and condemned him to urinate forevermore. 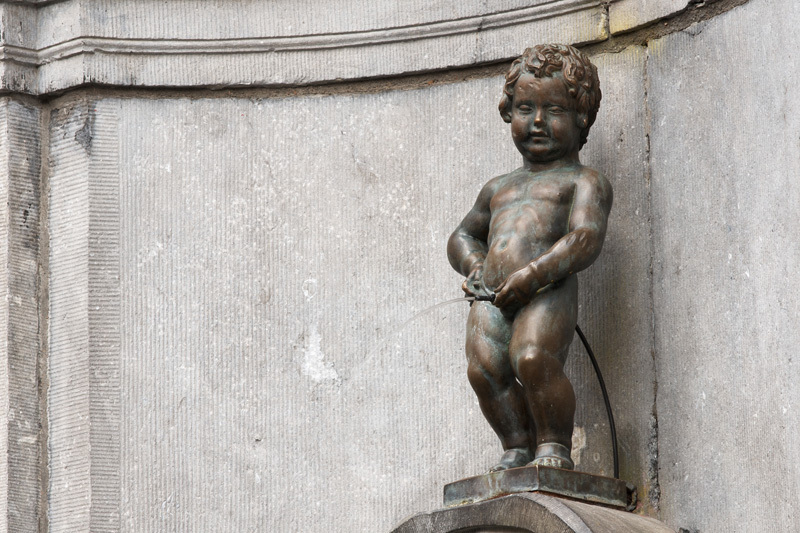 Whatever the true story, the Manneken-Pis was in fact placed in the fountain where it is currently located to remind people of the district’s need for drinking water. Furthermore, it soon became such a popular symbol that in 1770 the Louis XV-style niche was added to highlight the statue even further. Another interesting fact is that during the eighteenth century several attempts were made to steal the sculpture: in 1745 an endeavour was made by the British and, two years later, it was the French who tried, although in both cases the figure was eventually recovered. However, in 1817, a convict called Antoine Licas, who had recently come out of prison, managed to get hold of the statue and damage it mercilessly. The people of Brussels were shaken by the deed although were able to use the pieces that were rescued to make a mould and produce a replica of the figure, which is what you can see today. There is also a tradition of dressing the Manneken-Pis on specific dates. This tradition began in 1698, when Maximilian Emmanuel of Bavaria gifted a tunic with which to dress the figure. Since then, different figures and heads of state have given the statue garments. 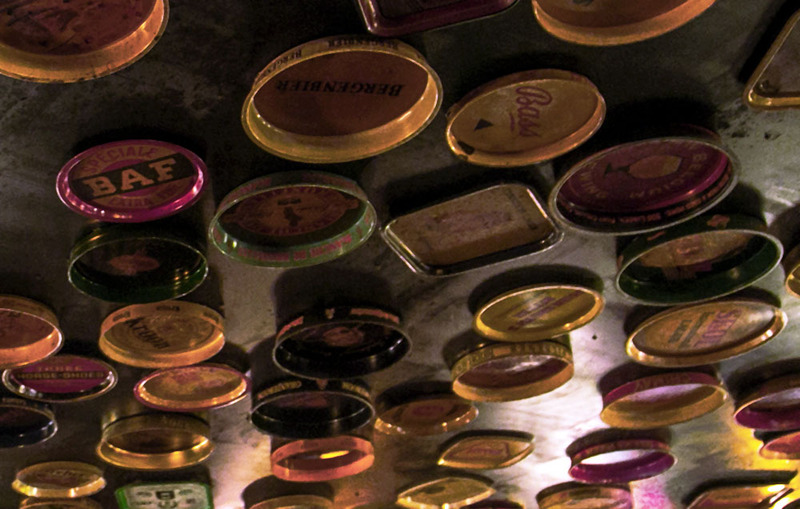 These comprise a collection of over 300 items, which you may find exhibited in the Musée de la Ville in the Grand Place.